The DCCA Board is governed by DCCA's bylaws and meets on the fourth Thursday of each month. If you have a question, comment or idea, please contact the appropriate committee or send a message to the entire Board. Robin Diener has lived in Dupont Circle (on Corcoran Street) for 20 years. Born and raised in Baltimore, Robin fell in love with DC’s local historic architecture while attending Georgetown University. Robin has a long history of community service and advocacy. In 1985, Robin co-founded Chapters Literary Bookstore in downtown DC, and for many years, she also volunteered as board president of the nonprofit Washington Literacy Council. In 2005, Robin went to work for Ralph Nader as Director of the Library Renaissance Project and helped save the Martin Luther King Jr. Memorial Library from being sold off by the District. The central library is now landmarked and the city is planning major renovations. Robin has been instrumental in spearheading a growing partnership with Casey Trees, and provided primary support for beautification of Stead Park. Robin also was a primary participant in the recent protest of the Congo Embassy’s mistreatment of outdoor space as part of its completed renovations. 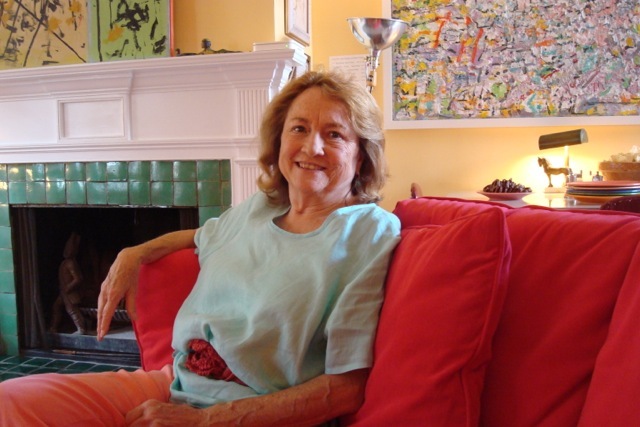 Additional contributions made to the Dupont Circle Citizens Association by Robin include chairing the 2009 House Tour, and serving as DCCA president from 2008-2010. Glenn and his wife, Michelle, returned to Dupont Circle in 2012 having previously lived here in the early 1980’s. They live on Hopkins Street on the southwest side of the Circle. Glenn has enjoyed being active in a variety of nonprofits over the years where he previously lived in the Delaware area and has continued his involvement here in DC. Presently, he serves on the board of directors for Sinai House, a non-profit organization that provides transitional housing and a variety of support services to otherwise homeless families in the District of Columbia. Glenn is also active in the Washington Interfaith Network’s homelessness initiative. He is an attorney who received his law degree from the University of Chicago and a bachelor’s in political science from Binghamton University. Glenn and Michelle have 3 adult children living as near as Baltimore and as far as Tel Aviv. In his spare time, Glenn enjoys biking along the many trails the DMV has to offer. He joined DDCA in order to help its efforts to foster the vibrancy and sustainability of this diverse neighborhood and is a member of the Regulatory Committee. Although raised in Philadelphia, Charlie Ellis was born in Washington, and while stationed at the Pentagon during his Army service, he met his future wife here at the International Student House. Charlie and his wife of nearly forty years, returned in 2007 after spending many years in Richmond VA. Charlie thinks DC is America’s finest city, and Dupont Circle is the finest neighborhood! Charlie’s community interests include preserving the beautiful architecture of our Dupont Circle neighborhood, pushing for progress in management of the environment, and otherwise promoting the livability and fairness of our city and our world for the generations to follow us. Charlie also likes travel, reading, music, and strolling around town when time permits. Charlie hopes, among other things, to assist in expanding DCCA’s membership and its community outreach efforts. 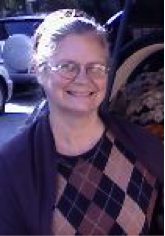 Susan Volman moved to Washington in 1996 for a temporary job at the National Science Foundation, and rented an apartment in Castleton. In 1998, she accepted a job at the National Institutes of Health in Rockville, sold her house in Columbus, OH, where she had been on the faculty of The Ohio State University, and bought a house on the 1500 block of Corcoran Street, which she could see from her apartment window. After becoming a Dupont Circle home owner, Susan began her community involvement with the old PSA 309, in what is now known as Borderstan. She also attended ANC meetings, and in 2005 served on a subcommittee to study whether a zoning overlay would be a better balanced approach to the periodic need to renew the 17th Street alcoholic beverage license moratorium. Although they concluded this was not a viable solution, the experience gave Susan a deeper understanding of community issues and acquaintance with a wider range of people in the community. Susan joined DCCA in 2003 because the meeting programs, such as candidate forums, were of interest, and (she confesses) because DCCA meetings were often held in mysterious buildings that were not generally open to the public. She is still learning about the activities of the DCCA board and discovering where she can most effectively serve to maintain and improve the quality of life and opportunities for the diverse population of Dupont Circle. Jen Kane has lived in Washington, DC since 2003, and is originally from Minnesota. She has lived on Swann Street in Dupont Circle since 2005 -- first in a shared row house with friends, before moving into an apartment with her husband, Ben, in 2010. She is mom to 1-year-old William, who loves watching the dogs in the S Street dog park and playing on the sidewalk in front of their house. Jen is passionate about getting involved with her local community, and improving local schools and parks. 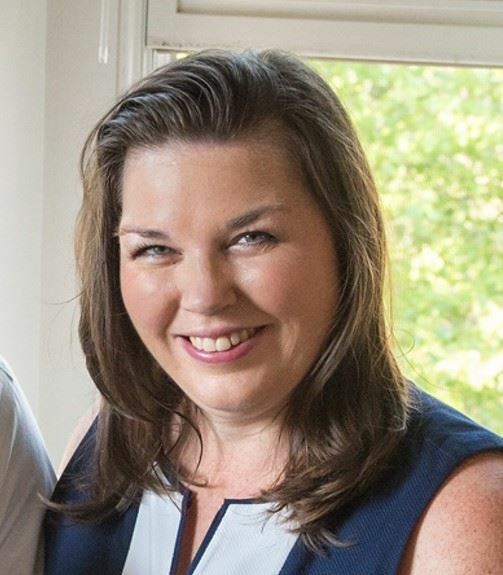 Over the past year, she has helped DCCA with social media outreach and the Dupont Circle House Tour, and would like to help build the membership and awareness about DCCA's many activities in the neighborhood. Professionally, Jen has a degree in English writing from DePauw University in Greencastle, Indiana. She works for the University of Queensland's North America office as their regional director. She has also served in a number of volunteer leadership positions and on volunteer boards in the field of international education. She and her husband enjoy travelling, and they aspire to make it back to Ben's home country of Australia a few times each year. Originally from Iowa, my first and last Army duty stations were in the DC area and I am still here. Moved to 17th Street NW in 1978, survived a co-op conversion and celebrated burning the mortgage several years ago. My involvement with DCCA over the years has included committees for: Rat Patrol, House Tour, Trees, Tulip Project, Environment, Graffiti, Parks and the Environment and Art On Call/Historic Call Box. Have awards for fighting rats in two separate decades, a Meritorious Service to Law Enforcement for fighting graffiti and a Historic Preservation Award for the Call Box Project. I am also very close to Scoop the dog. 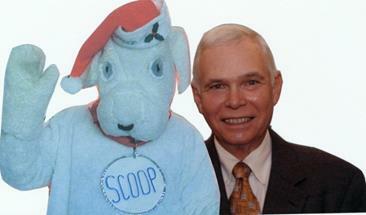 Scoop has been in the Pride Parade for years including the six years when I had the choice of participating as a gay elected public official or as a dog and choose to participate as a dog. City wide service includes the League of 8,000 and Solid Waste Enforcement and Education Program (SWEEP). Other community activism include: six years as a Dupont Circle ANC Commissioner, helping start Ross Elementary Christmas Tree Sale and Mother’s Day Book Drive, two versions of Friends of Stead and gardening throughout the neighborhood. Steve Auppele and I maintain the garden just east of the Circle, and I maintain a dozen or so other garden patches around our neighborhood. Marcy Logan has worn a number of different hats in the world of D.C. real estate. She started in 1971 as a real estate agent on Capitol Hill and quickly became her own best client. She bought, renovated and sold a number of houses on Capitol Hill and Dupont Circle. During the period of high interest rates, she started a condominium management company which she sold to her partner and her husband. While on Capitol Hill she oversaw renovations for a developer, and in Northwest she was a construction superintendent for Van Ness Condominiums. On Capitol Hill Marcy was active with the Capitol Hill Restoration Society, helping out the BZA committee with applications for special exemption construction permits. Her degree is in English literature from Miami University in Ohio which led to an early background in the printing industry and trade magazine production. Her outside interests reflect her attitude that she is willing to “try anything” once. She has extensive blue water sailing experience and was a rock climber and runner. Frequent trips to the Shenandoah to maintain her active antique business also allow Marcy to delve into her avid birding interests. Marcy assisted for a short time sculptor John Cavanaugh in his studio on the corner of 18th and Swann, not having any idea that she would some day have a gallery on Swann St., The Swann Street Gallery, which she happily runs with her partner, Daniel Kuhn, at this time along with managing her real estate in Dupont Circle. Barry W. Karas currently sits on the Advisory Committee on the Arts for the John F. Kennedy Center for the Performing Arts. Mr. Karas also sits on the National Finance Committee for Hillary Clinton as well as the LGBT Leadership Council of the Democratic National Committee. He is presently on the Human Rights Campaign Emeritus Council. He has also served on the Board of Directors of the Human Rights Campaign, Dupont Circle Citizens Association, Sarasota AIDS Support, Project Angel Food and Congregation Kol Ami, and served on the Mid-City West Community Council in Los Angeles. 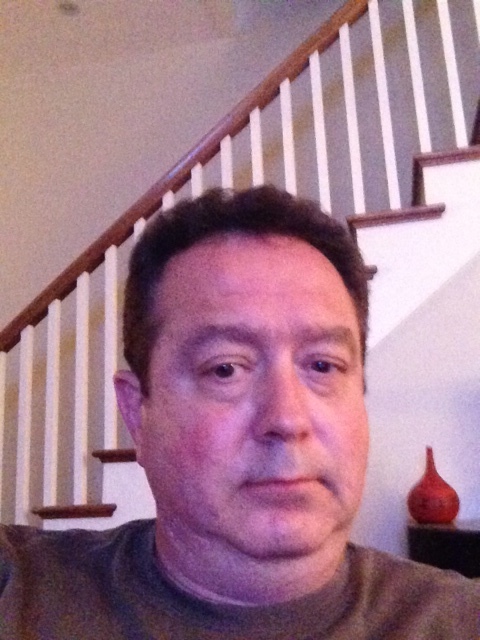 Lance Salonia has been a DCCA member for 10 years and active in the community on historic preservation and other regulatory issues. 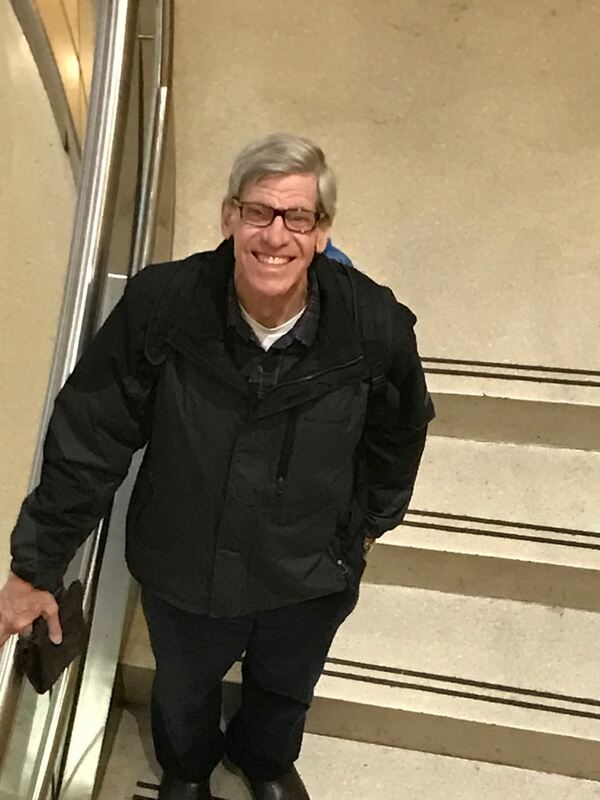 Lance has served on the Dupont Circle Conservancy and is a current member and former Trustee of the Committee of 100 on the Federal City, where he helped lead the Vision Awards Program -- acknowledging city-wide civic contributions. He started his civic activism serving as an ANC Commissioner in Sheridan-Kalorama where he was chair for 4 out of the 5 years he served on the commission from 1997 through 2001. He moved to Dupont Circle in 2005 and is a resident of S Street. In his professional life he is an IT consultant with IBM, and holds degrees from the McIntire School of Business at the University of Virginia and an MBA from Trinity College Dublin (Ireland). Lance is the chair of DCCA's Regulatory Committee. Originally from Wisconsin, Karol recently retired after a 25-year career in the United States Air Force. Karol, and her partner George, are relatively new to Dupont Circle having moved into a townhome on 22nd Street only 3 years ago. Currently, she volunteers several days a week as her church’s secretary and participates in numerous church activities. Karol is also active in the Honor Flight Network, a non-profit organization created solely to honor America’s veterans for all their sacrifices. She is still eagerly exploring the Dupont Circle neighborhood and hopes to learn more about the DCCA community and become active in its outreach activities. Founded in 1922 in a townhouse at 1767 P Street, to promote and protect the interests of the residents, the Dupont Circle Citizens Association (DCCA) is the premier civic and residential organization in the Dupont Circle area. DCCA brings neighbors, including residents, businesses and non-profit organizations, together to improve the quality of life in an active and diverse urban neighborhood. It holds membership meetings 9 times each year, which are open to the public, runs the Dupont Circle House Tour, resolves neighborhood issues through its committees, donates to local causes, and incubates innovative projects.